We humans are good at seeing patterns. But one has to take that quite literally, seeing patterns. At least for those with brains as limited as mine. If you’ve got a fancy for data like me, that means you have issues. Before my dumb grey matter starts making out patterns in large tables of data the world has usually moved on. So I am fascinated by people who are good at visualizing patterns in heaps of data and help me see. (yes, yes, I know, objectivity is in the eye of the beholder, defined by power and money, personal hang ups, social environment, neurotransmitter balance, today’s weather etc. etc. but that doesn’t delegitimize the quest for understanding patterns, does it…and if it does, patterns are still fun, infuse us with excitement, beauty and otherwise pleasurable states). 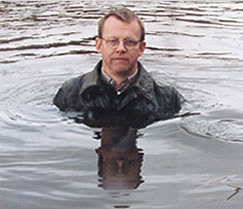 The main driving force behind it all is a Professor of International Health at Karolinska Institute, Hans Rosling, and I tend to immediately like an academic who puts himself into the public domain like this. On the gapminder website one can get plenty material (videos, presentations, teaching aids,…) including the software to do one’s own exploration with the data. If you like what you see: check out the full-length documentary! And if you really like what you see: there is a whole world out of what one may somewhat restrictively label visual statistics, which really kicked off with the work of Edward Tufte and his team. And now there people out there like Nathan Yau, author of Visualize This: The FlowingData Guide to Design, Visualization, and Statistics, with a great site. 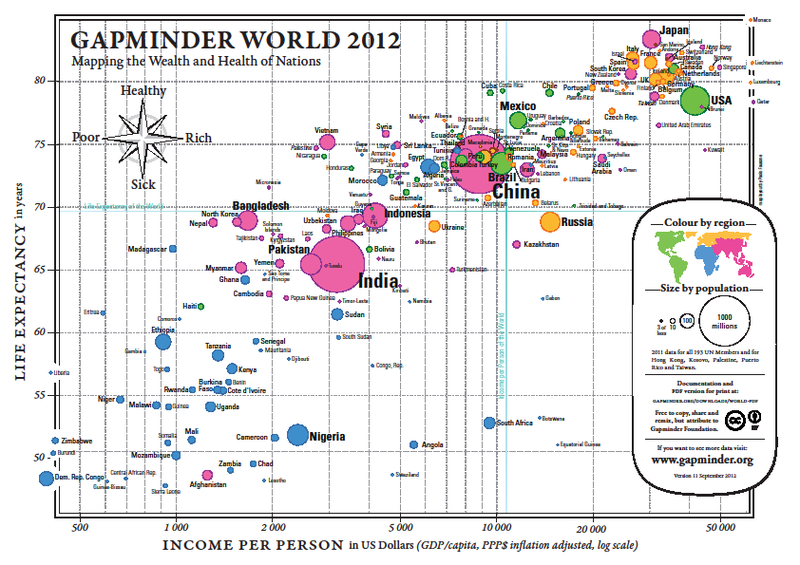 This entry was posted in society and tagged gapminder, Hans Rosling, statistics, visualization. Bookmark the permalink.